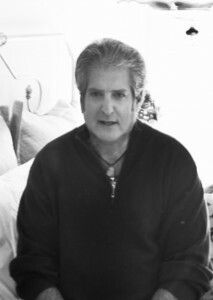 Donald Cohen was born in New York in 1951 where he spent his childhood. He graduated from the State University of New York at Buffalo. Dr. Cohen went on to earn his M.S.W. at Columbia University and his Ph.D. in clinical psychology from the California School of Professional Psychology, located in Berkeley, California. He returned to the East Coast to complete his fellowship in the Department of Psychiatry at Yale University Medical Center, as well as to begin his private practice. The author has also created, produced, and hosted the weekly television and radio show, Kids are Talking. He is a licensed marital and family therapist, and has had various articles published over the years while conducting lectures and workshops on subjects related to children, particularly communication. 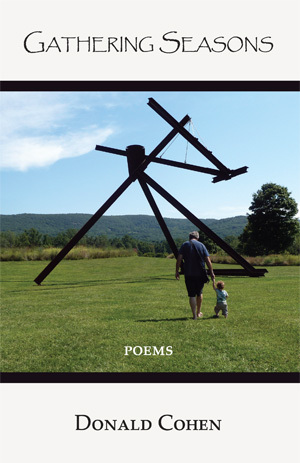 He is the co-author of My Father, My Son, author of memory man, collected poems (vols. 1, 2, 3), and a children’s book, Milo, My Stray Cat. In addition, Cohen was the producer and lyricist for the rock band “the GIVE.” He is the co-creater of the self-titled acoustic CD, as well as “the GIVELive at Acoustic Café.” Both are available on iTunes. He is currently the co-producer and lyricist for Memoryman Music. He and his wife Dee have two children and reside in Connecticut. I anticipate your birth and all that will unfold—first gaze, first taste, first sound, first smell, first touch, first moment—and I’m already feeling our first embrace. I ponder the possibilities: will you be a philosopher-dreamer, strong willed or free spirited, fan or a player, maybe all of the above? Soon people will celebrate “you,” and I, so happy to witness my blessing joining the world, will wonder what you sensed swimming down the birth canal—no longer trapped in the unknown, but emerging to know your namesake history, and what you alone will become. Be the first to review “Gathering Seasons” Click here to cancel reply.